A landmark on the "Old Colony Road" between Huntsville and Ryan's Ferry on the Trinity River. 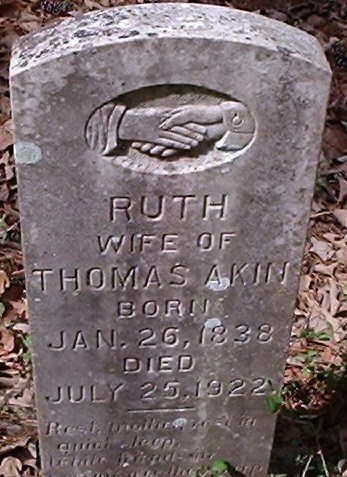 Named for Thomas Akin (1828-78), a native of Mississippi, who came to Texas in 1853 with his wife, Ruth Leakey Akin, whom he met and married in Bienville Parish, Louisiana., along the way. Akin, a horse trader, farmer, and singing teacher, came to this area in 1854, settled in the rural community of McGuire, and built a cabin at the base of the hill. 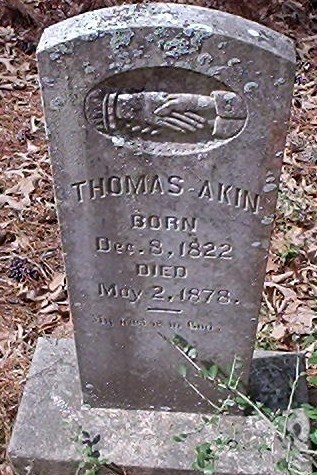 While Akin served in the Civil War as a courier for Confederate Gen. John B. Hood, Mrs. Akin moved the family a few miles to the east. The couple had 7 children. ,” East Texas History, accessed April 21, 2019, https://easttexashistory.org/items/show/170.